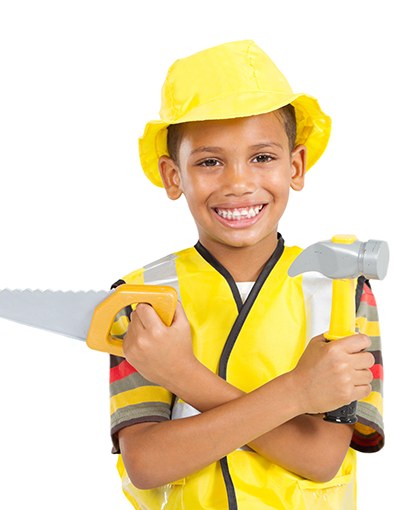 When a cavity is diagnosed, we will schedule an appointment for your child to have it fixed. Dental x-rays can give us a good understanding of how deep the cavity may be inside of the tooth before we begin to fix it. Once the doctor removes the dental decay or cavity they can see directly inside of the tooth. If the cavity is so large that it reaches the middle of the tooth, the pulp must be removed. The nerve or the pulp of the tooth cannot be left exposed, so a pulpotomy needs to be performed. The pulpotomy removes the top portion of the pulp or nerve, the tooth is then sterilized and cleaned before placing a stainless steel crown. Covering the tooth with a dental crown insures the tooth is sealed properly and restores the functionality of the tooth.